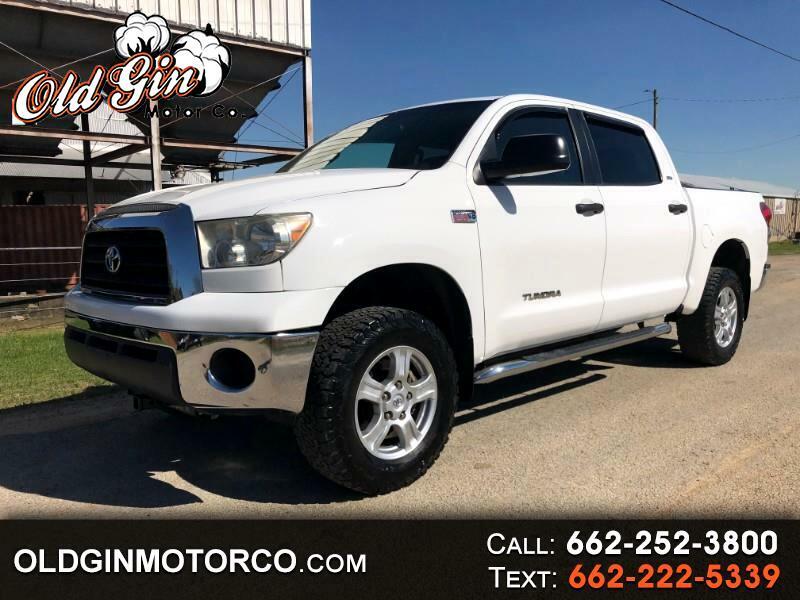 **30 Day Powertrain Warranty Included** 2008 Toyota Tundra Crew Max SR5! Options include 5.7L V8, tan leather interior, power seat, power rear window, trailer brake, alloy wheels, BF Goodrich All Terrain tires, bedliner, & tow package! Nice shape inside and out!